My latest course, Mastering Violin Vibrato, starts with simple exercises to prepare your hands for vibrato. Yes both hands. Your bow hand has to do certain things while learning vibrato! The violin vibrato lessons continue by teaching you the basic mechanics using our special training wheels, the Purfling Position. You will first master vibrato there. Then, you make the transition down to first position, (this takes quite some time) and then you are off to the races. It is then just a matter of plugging it in, and learning to pass it from finger to finger! Part One includes six instructional videos and two guided practice sessions which we call Practice Coaches. You can view them as often as you need to, at your own pace. It teaches you some exercises to prepare your hand for vibrato, then it takes you through a very specific series of steps to get your vibrato up to speed. Part Two, Advanced Violin Vibrato lessons, take your newly developed vibrato and helps you refine and troubleshoot. It also teaches you to change and control the speed depending on the musical setting in which you are playing, giving you more colors to paint with. It teaches you to pass the vibrato from finger to finger so that you can have continual vibrato, even in fast passages. In the videos making up part two, we will begin to plug it all in. Part Three, Applied Vibrato lessons, do exactly what the name says. We APPLY the vibrato to everything: scales, tonalizations, simple tunes. This takes the training wheels off, and shows you how to plug your new vibrato in, to use it in context, which really requires some guidance….and you will get plenty of that in the videos that make up Part 3. Each course is a systematic series of 8 – 10 videos which you can access as often as you like for two full years. You can get full access to all three parts for a special promotional price of $33 each. That’s well over 10 hours of specialized vibrato instruction! Note: If you are taking my online violin lessons, you’ll get Vibrato Part 1 with Suzuki Book 1, Vibrato Part 2 with Suzuki Book 2, and Vibrato Part 3 with Suzuki Book 3. Access to videos for all three parts for two full years! Do you teach arm or wrist vibrato? I teach a combination of wrist and arm, but we begin by learning STRICTLY wrist vibrato, because that is the hardest to learn and it is important to develop that skill before I show you the easier arm vibrato, which can easily become the default. Most professional players have a blend of arm and wrist vibrato. I have very little flexibility in my arm/wrist. Will I still be able to do vibrato? Yes. Depending on where your stiffness is, you might rely more on an arm vibrato than a wrist vibrato. I want to learn fiddle style. Do I need vibrato for that? Vibrato is used very sparingly in fiddle music, but it really adds sparkle and expression to waltzes or the occasional long note on a reel. 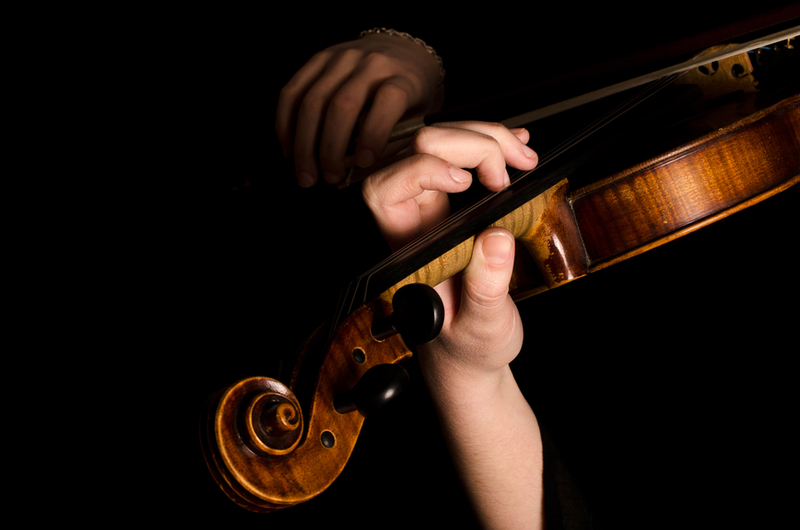 You will benefit from learning vibrato, and then it’s up to you to remember to use it tastefully in your fiddle playing!